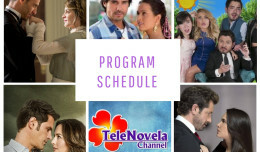 The Two Sides of Ana: Episode 67 | TeleNovela Channel - Bringing you closer to lifes drama. Irene tells Tina why she can’t introduce her to a millionaire in the shipping company. Humberto makes a toast for Vicente’s first publication of his literary work and for Ignacio’s exemplary work in the shipping company. Meanwhile, Polo introduces himself to Ana and Graciela and flirts with the latter. Ana tells Claudia why she hates the Bustamantes and that Tina and Irene know that Ignacio killed her family. Tina and Humberto meet in the golf course.